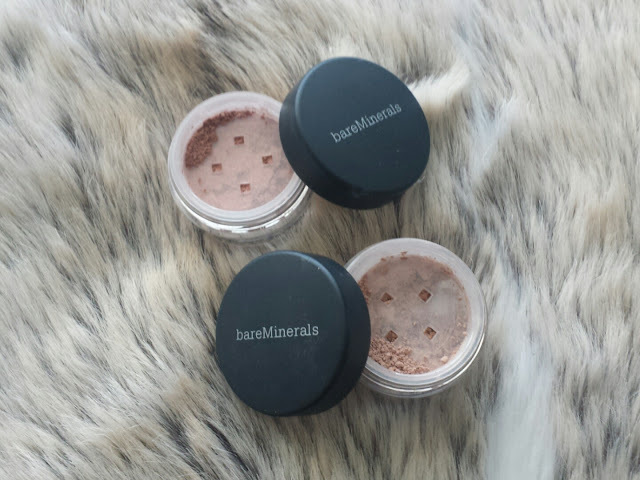 I have always wanted to try the Bare Minerals Powders, but have never been bothered to spend the money. 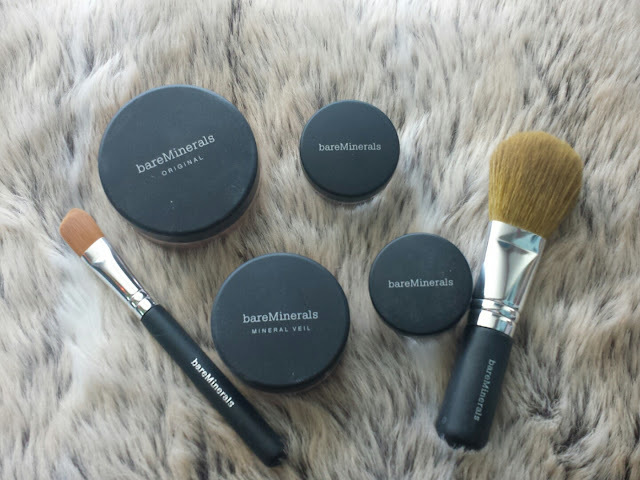 But after visiting TK Maxx on a regular basis, they have started to bring in Bare Minerals makeup, and what better thing to do then try it out with their starter kit in fair. The only downside with this product when I bought it was that it didn't include the Prime Time primer as I really want to try it, but as I have loads of primers anyway it doesn't matter too much. Being fair skinned, it is hard to find the perfect shade so it was a real hunt to find my shade, but when I found it I had high hopes. The kit includes, the Original Powder, Concealer powder, All Over Face Color (highlighter), Mineral Veil and two mini brushes. 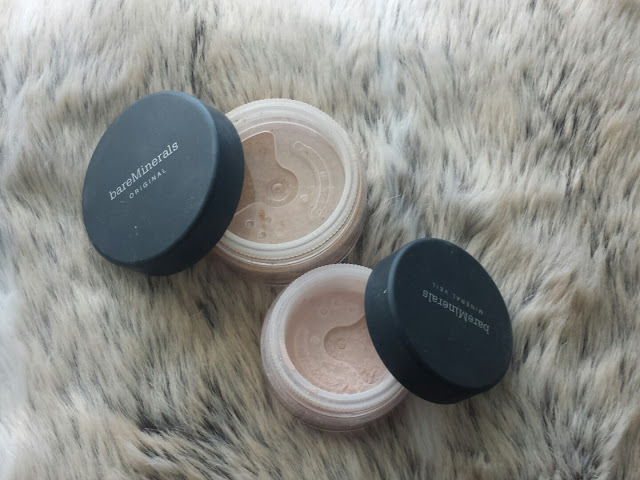 They are all mineral powders, which means they are a lot finer and should feel a lot softer on the skin and blend out really well. Being someone with fairly large pores, when I applied just the powder for the first time it made my pores look huge and I had no coverage what so ever. When I applied the concealer powder I was so disappointed I actually wished I didn't by the kit. The overall look was terrible so I wiped it off before anyone could see it. As the first time was a fail, I try the products differently, by applying a light coverage foundation on my skin and then apply the products. The concealer I hated, so I will never use that again, as it is dark and just leaves my eye bags looking darker and clumpy. The all over face color is highly shimmery so I will only use that as an intense highlight, as it makes my face look too shiny and I prefer the matte look. However, the original powder and mineral veil I love, the original powder gives me more coverage so I can get away with wearing light foundations. The mineral veil is great for mattifying my face without adding any more color to my face. So I would recommend the original powder and mineral veil to all. But as for the other products I wouldn't personally recommend them to anyone as I feel unless you are super happy with you face it won't do you any good. This kit is expensive at £39 from Bare Minerals or £29.99 from TK Maxx. So, I would say try it or get a sample from Bare Minerals first before you invest.